2. Eguia A, Villarroel M, Martínez-Conde R, Echebarría MA, Aguirre JM. Adamantiades-Behçet disease: An enigmatic process with oral manifestations. Med Oral Patol Oral Cir Bucal 2006; 11: E6-11. 3. Chung YM, Lin YC, Tsai CC, et al. Behcet&apos;s disease with uveitis in Taiwan. J Chin Med Assoc 2008; 71(10): 509-516. 4. Al-Otaibi LM, Porter SR, Poate TWJ. Behcet&apos;s disease: A Review. J Dent Res 2005; 84(3): 209-222. 5. 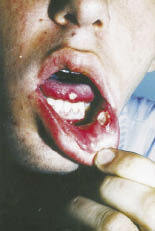 Marshall SE, Behcet&apos;s disease. Best Pract Res Clin Rheumatol 2004; 18(3): 291-311. 6. Sakane T, Takeno M, Suzuki N, Inaba G. Behcet&apos;s Disease. New England Journal of Medicine 1999; 341: 1284-1291. 7. M Önder, MA Gürer, The multiple faces of Behcet&apos;s disease and its aetiological factors, 2001 European Academy of Dermatology and Venereology (JEADV) 15, 126-136. 9. Roberto Tunes, Mittermayer Santiago. Behcet&apos;s Syndrome: Literature Review Current Rheumatology Reviews, 2009; 5: 64-82. 11. G Hatemi, A Silman, D Bang et al. Management of Behçet disease: a systematic literature review for the European League Against Rheumatism evidence-based recommendations for the management of Behçet&apos;s disease Ann Rheum Dis 2009 68: 1528-1534. The geographical distribution of Behcet&apos;s disease (BD), mainly spanning countries between the Mediterranean countries. 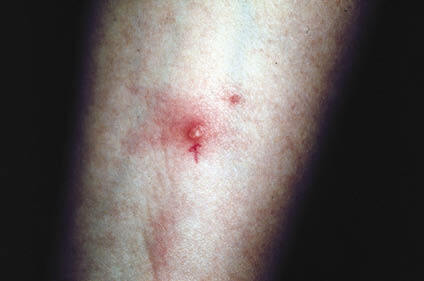 It always attack large-small vessels including artery vein. It is a multisystemic inflammatory disease characterized by oral and genital aphthosis as well as inflammation of the eye, skin, joints, gastrointestinal tract, vasculature, and even the central nervous system. Its pathogenicity is still not sure, susceptibility to BD is strongly associated with the presence of the HLAB51 allele. The diagnosis is made on the basis of the criteria proposed by the International Study Group for BD in 1990. The choice of the treatment depends on the patient&apos;s clinical manifestations. There could not have the standard treatment for all the patient.